Last week, we lifted the curtains on our all-new web experience for TrainingPeaks Athlete Edition and Coach Edition. As I said, this is “not your grandma’s TrainingPeaks”, and when you came to the site today you probably noticed that things look a little different around here too. Today, we’re excited to present the all-new front-end website experience on TrainingPeaks.com to accompany the mobile and web products we’ve released this year. With the launch of our new website, the entire TrainingPeaks experience from signup to login to interaction with our web and mobile products now reflects our commitment to intuitive, clean and beautiful design. In line with our mission to help athletes achieve their dreams, the new website is also heavily geared towards providing training, nutrition and racing guidance; either in the form of content or making helpful products and services easier to find. And as we’ve said with our public beta and mobile releases in the past six months, this is just the beginning. Just in time for planning the 2014 season, the new Training Plans store will make it easier for you to find the plans you’re looking for, from the coaches you trust. Sort by popularity, price, author or other criteria. Check out the new store. If you really want to take your training to the next level in 2014, our free Coach Matching Service is more “front and center” on the new site. Fill out our improved questionnaire so that we can help you find a nationally certified coach that fits your budget, experience level and other preferences. If you’re an existing TrainingPeaks user, you’ll probably be interested to know that the TrainingPeaks Blog has grown up and moved. 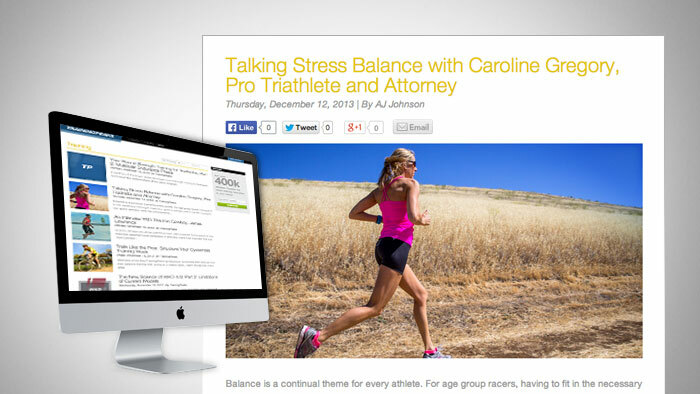 You can now find the latest training, racing, and nutrition advice at TrainingPeaks.com/Blog. Coaches will also continue to get tips on growing and running your business in our “Coaching” section. And our “News” section will have the latest information on new products, features and events coming out of TrainingPeaks. Our old blog at blog.trainingpeaks.com will continue to be available for some time, though we have already migrated over our latest and most popular content. We’ve organized our upcoming and archived webinars to make them easier to find at home.trainingpeaks.com/webinars. Our Power 411 articles have moved to the new TrainingPeaks Blog and can be found at home.trainingpeaks.com/power411. Our most popular evergreen training and nutrition articles, such as “Minimalist Ironman Training” and “A Calorie is not a Calorie”, have been brought to The TrainingPeaks Blog. Our race analyses for events like the Tour de France and Kona will now also live on the TrainingPeaks Blog. Finally, our product-related tips have moved to the place you’d most expect to find them: our Help Center. If you’re looking for any “how-to’s” on TrainingPeaks or WKO+, visit help.trainingpeaks.com and search our FAQs. We went back and forth on what to call our new content center, toying with ideas ranging from a “resource center” to “training center” or other fun analogies for a place where you go to learn how to become a better athlete or coach. In the end though, we decided to stick to what our readers have come to know and rely on in the past several years: The TrainingPeaks Blog. Our business is in helping athletes to achieve their dreams. So, the mission of the TrainingPeaks “blog” has always been to provide free and practical training guidance from experts. While many company blogs are written by their employees, our knowledge base is comprised of the 3,000+ coaches who use TrainingPeaks, several of whom just happen to work in this building, and many of whom are among the best coaches in the world. The TrainingPeaks Blog connects athletes with this valuable expertise. So now that the TrainingPeaks website is all grown up, what can you expect from us in the future? We’ll continue to deliver the practical and scientific training advice you love, race insights from top age groupers and pros, and news on upcoming events and opportunities. What we plan to add in 2014 is more multimedia content like videos, slides, white papers, and long-form guides; now that we have a better home for all of it to live. You’ll also see more nutrition content from us. Finally, you’ll notice our all-new design that makes our content both fun to look at and useful. How do you make sure you don’t miss the latest content from us? Sign up for our emails in the right hand toolbar. We’ll make sure you only get the content you’re most interested in. And as always, to get the latest news hot-off-the-press, make sure you’re following us on Facebook, Twitter, or Google+. I can’t tell you how excited we are to launch our new website, just in time for the new year. We look forward to continuing to be your resource in your training and racing journey…in 2014 and beyond.